It’s the most-watched television broadcast nearly every year. It is an opportunity for football (and commercial) fans to gather and gorge on snacks. It is the Super Bowl — an American cultural phenomenon. The popularity of the Super Bowl allows us to see what Americans eat and drink when they gather perhaps better than any other event. As with so many parts of culture, though, the way Americans consume the Super Bowl changes, as highlighted by a new Nielsen report. Nowhere is that change perhaps more pronounced than in the foods of choice during the game. A perennial favorite Super Bowl snack, the chicken wing, remains quite popular. But the way people prefer to cook and eat chicken wings has changed. Rather than reheating frozen wings, Americans increasingly prefer fresh wings from a deli counter or that they make and bake themselves. 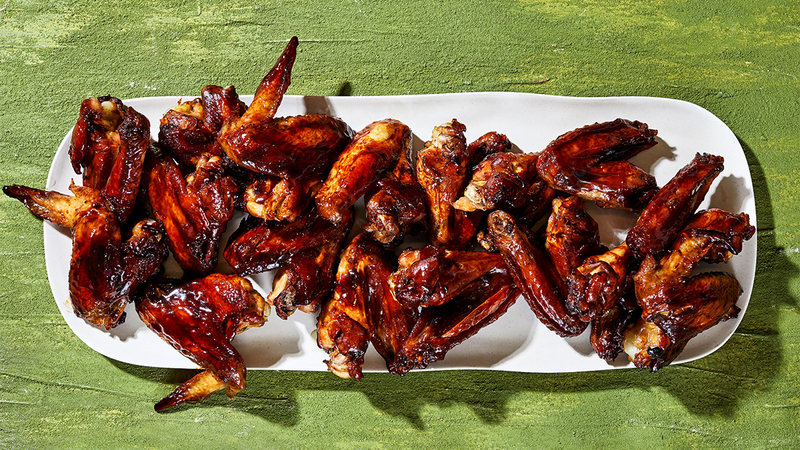 According to the Nielsen report, fresh meat wing sales were up 31.4 percent in 2018 compared with 2017’s lead-up to the Super Bowl. Fully cooked deli wings were up 15 percent, bringing in $650 million for the nation’s grocers last winter. However, U.S. Super Bowl watchers are also looking to healthier alternatives. Consumers increased their cauliflower purchases 19 percent from 2017 to 2018 as more Americans’ diet preferences turn to plant-based alternatives and away from meat proteins, Nielsen reports. The trends surrounding women’s preferences at the snack bar differ from men’s, especially when it comes to drinks. Women make up about 47 percent of Super Bowl viewers, Nielsen reports, and they are 146 percent more likely to drink wine coolers most often among adult beverage options. Women are also driving a smaller trend toward hard seltzer purchases, which tripled as a percentage of Super Bowl-related sales from 2016 to 2018. An increasingly larger portion of the food and drink sales around the Super Bowl are being made online, and those purchases include chicken wings and adult beverages. This makes Google an increasingly reliable indicator of the popularity of different dishes across the U.S.
Cake was by far the most-searched Super Bowl snack according to Google Trends: 10 states — from Arizona to Wyoming — showed some variation of the dessert as its most uniquely searched dish. Buffalo chicken dip came in a second; residents of eight states searched for that option more than any other dish. Because the Super Bowl still has massive import as a celebration of sport and snacking, comparing the food preferences across the country can be a good way to understand what Americans are eating. Brendon Kleen is a senior journalism student at Arizona State University.